Washington can think of no better way of spending his summer vacation than at a basketball tournament performing as a star in the sport he loves. When his parents inform him he must give up his spot in the tournament to focus on his reading skills, Washington feels as if his life is ruined. It gets worse when his parents insist he accompany them on a family reunion to East Texas with extended family he barely knows. While reading under a tree and with the help of red dirt, Washington travels back in time to witness the horrors of slavery through the lives of his predecessors. The cruel treatment a slave receives for merely reading a book shocks Washington. Will his life ever be the same after what he sees and will he recognize literacy is a gift? 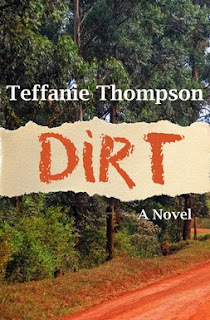 Dirt expounds not only on the importance of family but also the importance of education. A must read for the young adult reader who might need to be reminded of the importance of literacy. An inspiration to African American community of what education can accomplish and a sober reminder to others of the dark past we sometimes forget.